Although conducting testing on raw materials is an important part of scientific research, finding the resources and equipment to conduct in-house testing is exceedingly difficult for many companies. Businesses are left searching for third-party laboratories, unsure if these laboratories will meet business standards. 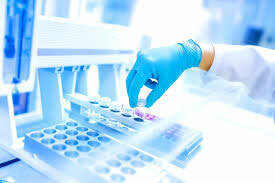 Krins Life Sciences has agreements with laboratories that conduct testing and analysis for pharmaceutical, cosmetic, and nutraceutical products. Krins provides an extra safety guard for its clients, and will coordinate with its partners in the case of any discrepancies regarding clients projects.